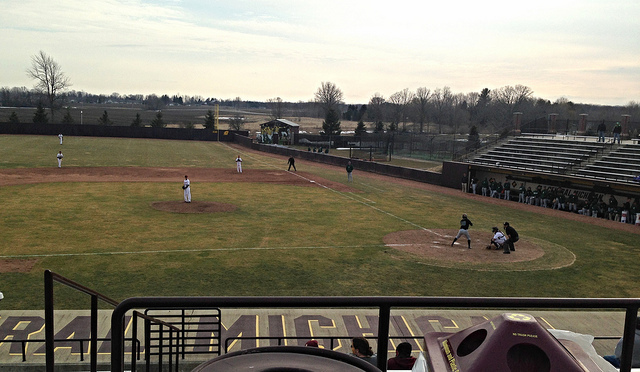 Theunissen Stadium-Mt. Pleasant, MI: Madness. Sheer Madness. 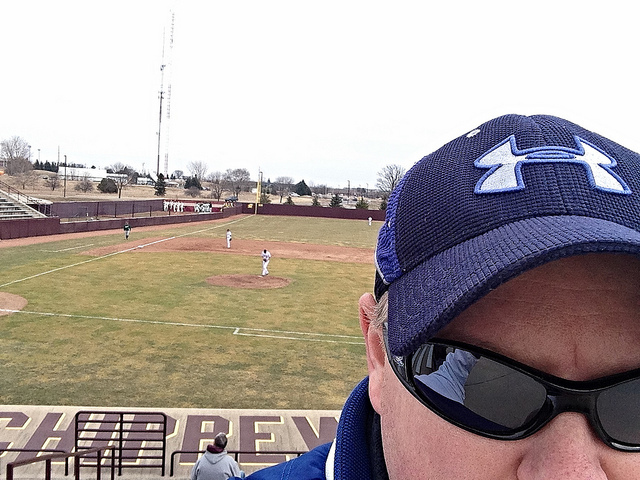 Attending a baseball game in Michigan in March, one would have to be classified as mad, or crazy, or whatever. 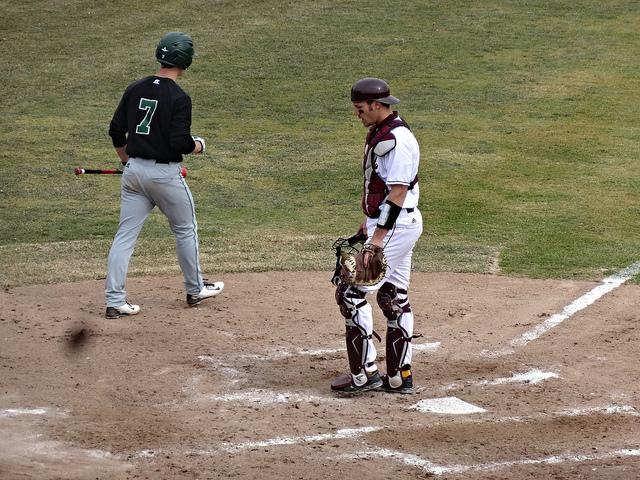 The weather actually wasn’t that bad, however, and dealing with a personal loss, my dad and I decided to use baseball as therapy. 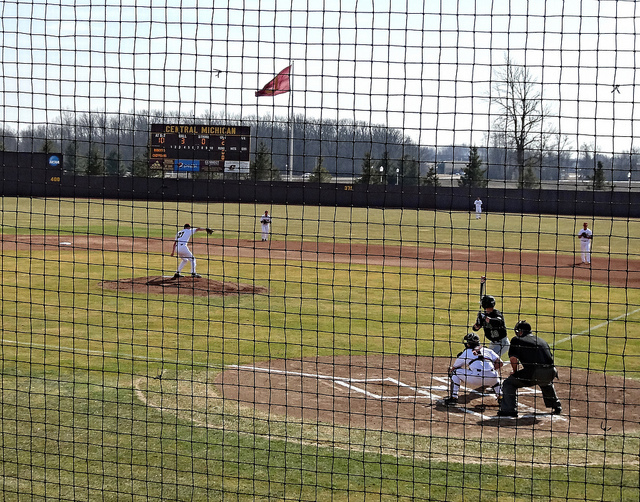 This was the Chips home opener, so there was a decent crowd on hand (until the sun disappeared, anyway). The game itself was a rough one for the Chips. 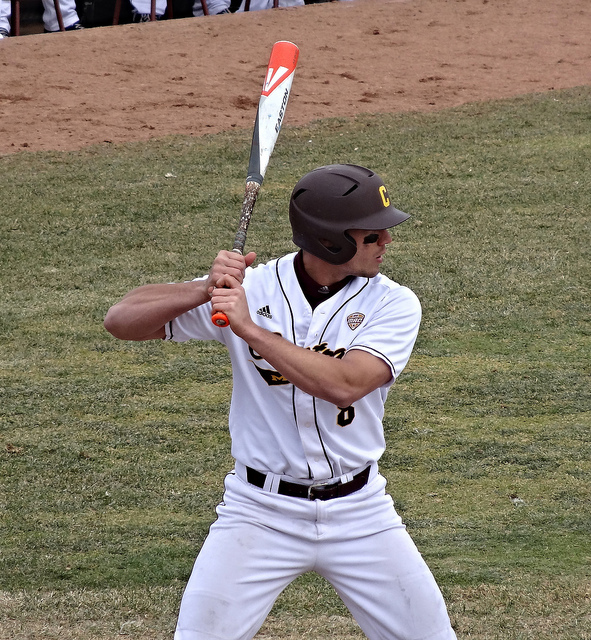 Sophomore Nick Deeg took the loss one the mound, but two unearned runs didn’t help his cause. 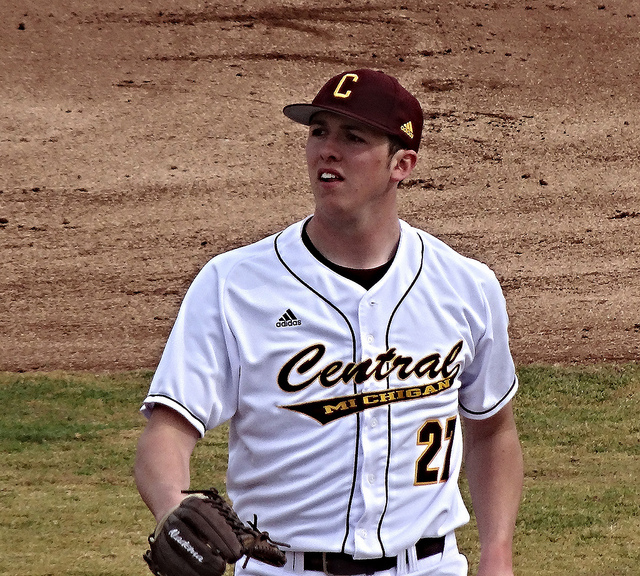 CMU had a couple other defensive lapses that could have been errors, also, so a tough day for the left-hander. 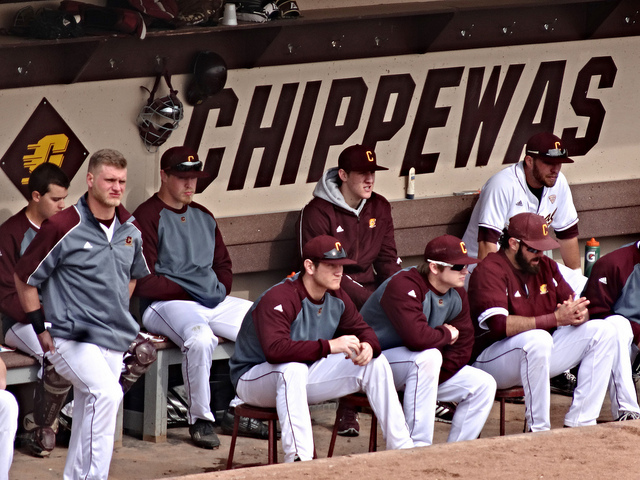 Five times during the game the Chippewas had at least two runners in scoring position, and stranded 13 total for the game. 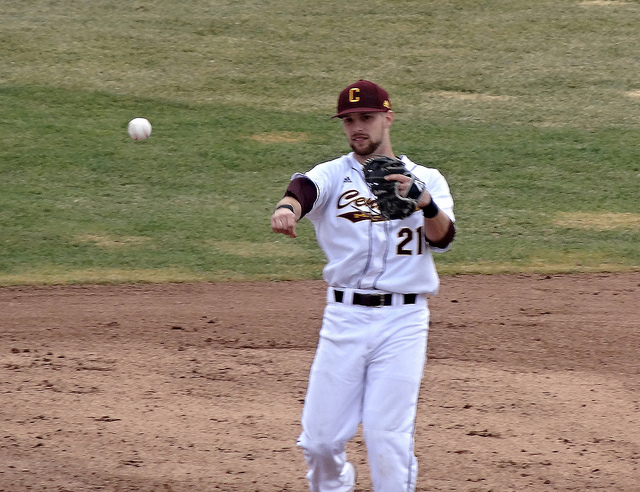 Nick Regnier and Alex Borglin had two hits and an RBI each to lead CMU offensively. 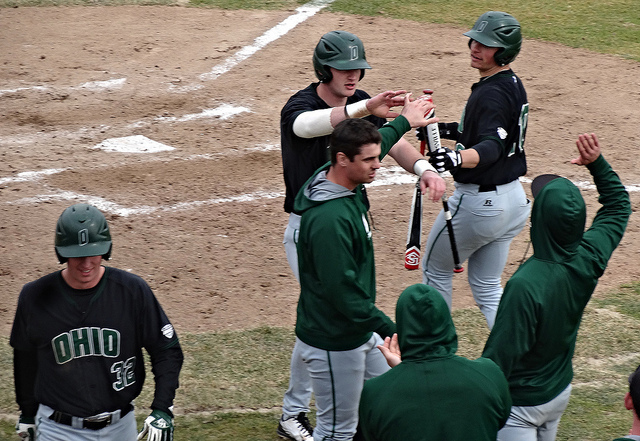 Logan Regnier and Joe Houlihan each legged out doubles, and freshman Zach McKinstry added a hit and an RBI. 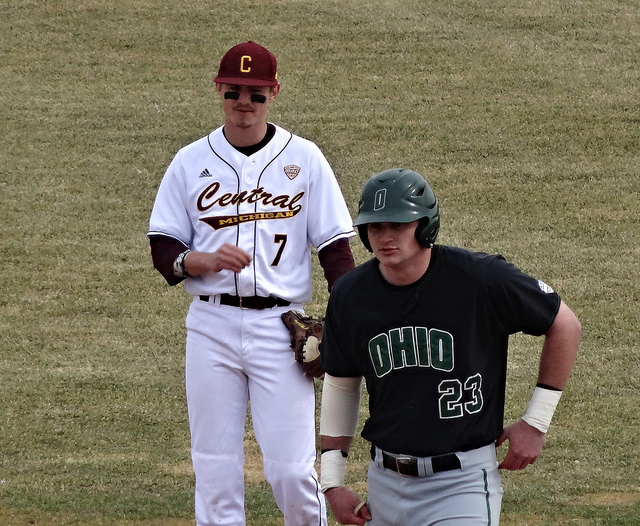 The Chippewas bounced back to beat Ohio the nest two games, but we were left with the lone loss in the series. 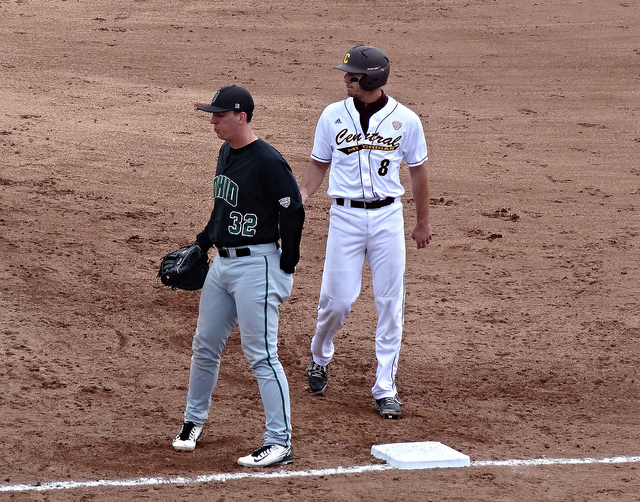 Still a fun day, and getting to a ballgame really helped take our minds off things for a little while. We’ll try to see the Chips play again this season for sure. 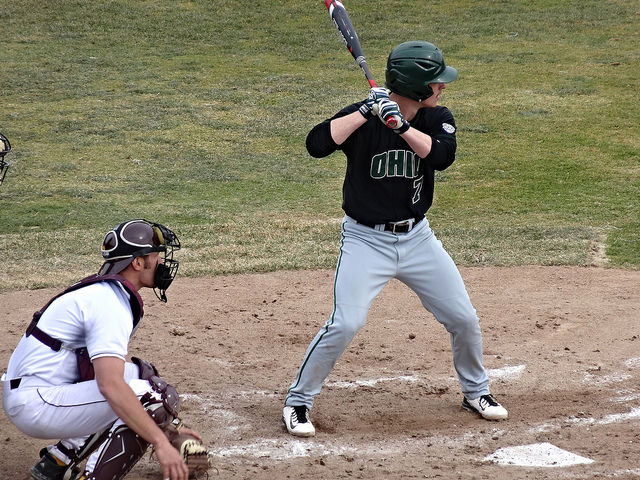 Final Score: Chippewas 4, Bobcats 6. Thank you, Shannon, I really do appreciate that.